Jess was awoken by her best friend punching her in the back of the head. "Get off me please, I have a knife and I will kill you to death!' she shrieked, rolling over and remembering in the nick of time that she was three bunks up. In the opposite bed, Bryony lay face down, fast asleep, a long arm stretched across the gap between them like a rope bridge with her clenched fist on Jess's pillow. Jess exhaled in relief and pushed her friend's hand off her bed. Jess has decided it's time to get out of her comfort zone and live a little. 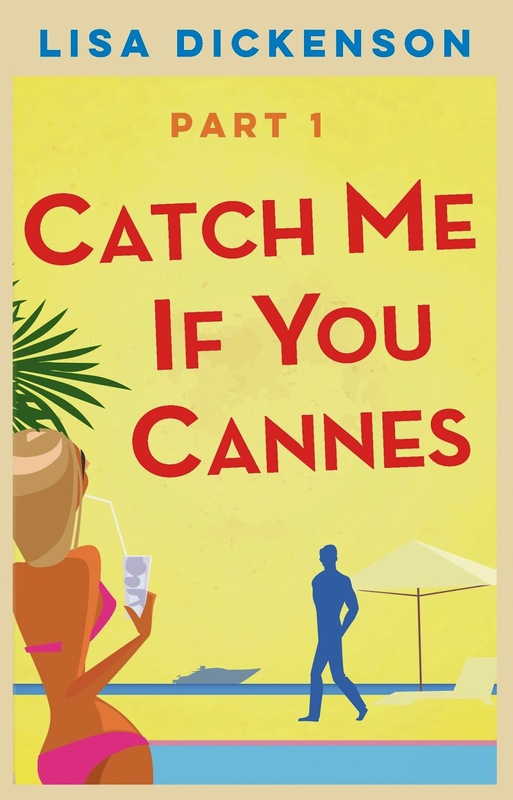 So when her best friend Bryony, a journalist on a gossip magazine, is sent to cover the Cannes Film Festival, Jess decides to seize the day and go along for the ride. Two weeks of glitz, glamour and exclusive entry into celeb-filled parties is just the kind of adventure Jess needs. The first part of the book finds Jess and Bryony on their way to Cannes for the film festival. Well, Bryony is on her way for the film festival as she is there in a journalistic nature while, Jess is just there for the jolly. Bryony hates her job. She works for a small, relatively unknown magazine called Sleb, which sounds as sleazy as it is. Her boss is only interested in the dirt that Bryony can find, which she struggles with as she desperately wants to be taken seriously as a journalist. Jess is escaping her life. She is fed up of being the only member of her family never to have travelled the world, and she is desperate for adventure. Within hours of arriving in Cannes, the girls get mistaken for being important people and are quickly scooped up into the stylish and expensive world of the rich and famous. They don't see any point in telling the truth, until it starts to back fire for them by the end of Part 1. There is a little love interest blossoming as Jess is quite taken by Leo, her mysterious pancake buyer, who then turns up in the yacht next to them. I am intrigued where this relationship will go, as it quickly became clear that have very different lives. I loved the humour of the book. The author has a very sarcastic style of writing, which suits me completely. I found myself sniggering constantly. I loved the idea of the story. It has that Notting Hill feel to it. This is what would happen if normal folks managed to infiltrate the Cannes Film Festival. How they would be taken in by the extravagance and beauty of it all. I am hoping that at some point Jess and Bryony see the reality of the celebrity lifestyle and realise it isn't all glamour all of the time. I did struggle a little to identify with Bryony and Jess to begin with. I had to keep reading over what I had previously read about them,because they kept morphing into each other in my head. I'm not sure I completely understand why this book is being published in four parts, because it could so easily be published as a whole. The first part is only sixty five pages and I could easily have carried on reading. I am definitely looking forward to reading the next part and reviewing it next week.